There are a few things in my world that I geek out about: Disney World. Pizza. And Christmas. I like everything about Christmas and even have a tub of shirts that we drag out that contains *just* Christmas shirts. Part of one of our Christmas traditions is going down to the Tammen Treeberry Farm and cutting down a tree for our house. Here's a post from 2010 that talks about that trip. I also included the Tammen Treeberry Farm on my "favorite holiday things" list of 2010 and 2012. This year, we cut down two trees for our #newoldfarmhouse - which is one more than we normally do. And that meant that we needed a second tree stand. I went to the Wirecutter - where they (of course) have a piece comparing various stands. 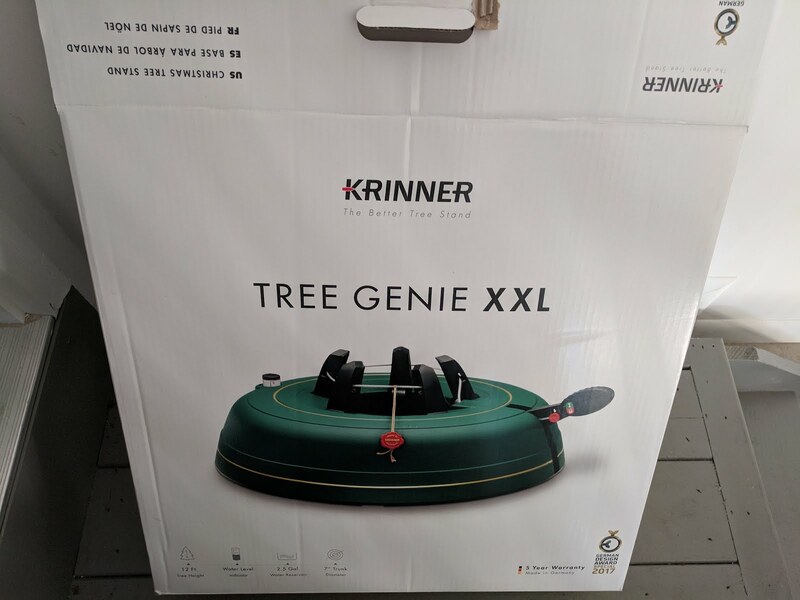 They recommended the Krinner Tree Genie XXL. A unique design makes clamping a tree in the Krinner far easier than any kind of stand we’ve found. The Krinner grips the tree trunk with five claws that you tighten by stepping on a ratcheting foot pedal, instead of turning a set of bolts into the bottom of the tree trunk, like nearly every other tree stand. This means average-size and smaller trees, around 6 to 7 feet tall, can be set up with just one person. No other tree stand does anything like it. 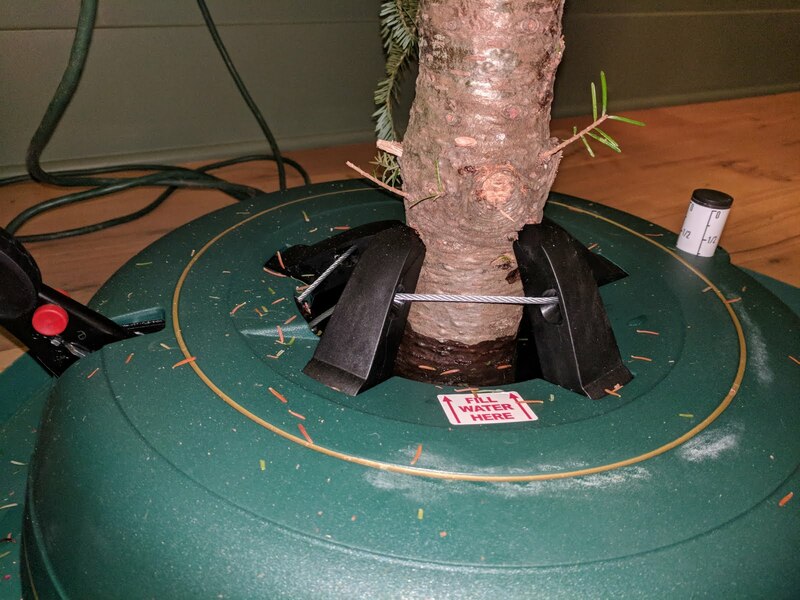 The Krinner can handle a wide range of trunk diameters (even very small ones), it’s extremely stable and it’s attractive, and the enclosed 2½-gallon reservoir has a gauge to show you its water level. Priced at around $100, the Krinner is not cheap, but it’s so superior to the competition, we feel it’s worth the investment. The key part: can be set up with just one person. I was sold. It *is* quite pricey, but I'm here to tell you: it is worth every penny. I set it up before we went to the tree farm. When we came home, I took the trees off the truck, cut a fresh cut off the trunk, then carried them in. The tree that was going into the new Krinner stand? I stuck the trunk in the base, pumped the foot pedal a few times. And it locked in. Perfectly. The other one? I carried the tree in. Stuck it in the base. Then asked Nat to hold the tree while I got down on my knees and twisted the standard bolts into the base. Only to find out that it wasn't straight and we had to tweak the bolts. It is too late for this year because you guys all have your trees in the house. But next year? Buy one of these.